Why Do Fools... In The Press! "The show's comic heart, however, is Greta Kleckner. With a bubbly presence and comic timing resembling classic SNL comediennes like Gilda Radner and Aidy Bryant, Kleckner's Dee Dee is a giggling, hyperventilating hot mess, complete with catchphrases and physical comedy. 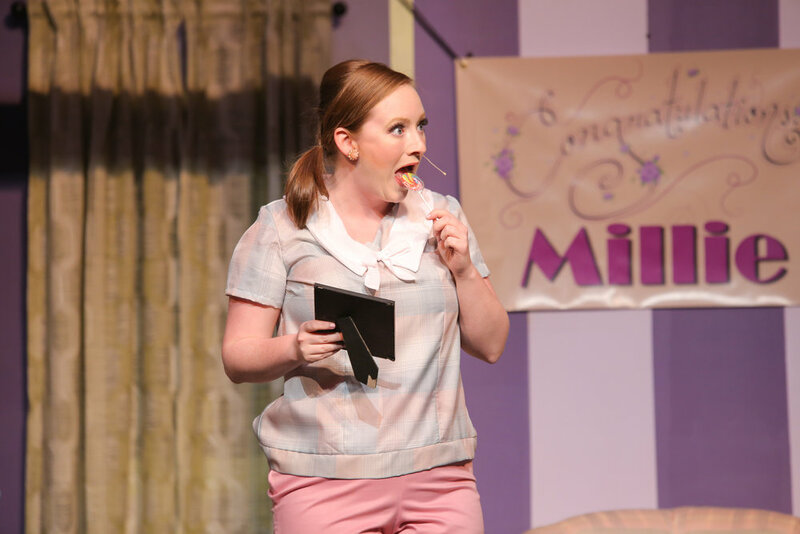 Dee Dee is the broadest role, written just this side of insufferable, and it's a testament to Kleckner's comic abilities that Dee Dee never becomes annoying and remains amusing throughout." Greta will be singing on a song cycle with music and lyrics by Wendy Feaver titled "Bus Stop Cycle," one night only on April 1st (no joke!) with 4th Wall Theatre at the Westminster Arts Center. Tickets and info here! Greta is heading out to the West Coast to work on the national tour of Elf this Christmas in the ensemble and covering the role of Deb! Greta contributes to several different episodes on the Almost Always podcast radio show, lending her voice to several scripted quirky characters, as well as a singing feature! To listen, go to almostalwaysshow.com and tune in to episodes 5 and 7! Greta will be heading out to PA this summer to do St. Vincent's Summer Theatre's production of Cole as a featured singer and tapper extraordinaire! For tickets and more info, click here! Greta is so excited to announce that she will be joining Westchester Broadway Theatre for their production of Godspell..